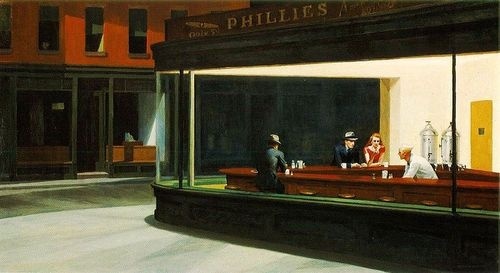 The diner in Edward Hopper's "Nighthawks" never existed. Well, I never thought it did, but in a way, it's a million diners in a million towns. I remember staring at it at the Chicago Art Institute, transfixed.